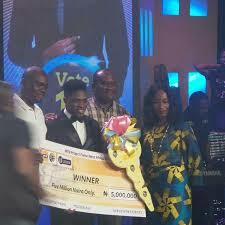 2015 MTN Project fame winner (JEFF). Jeffrey Ufedo Akor weekend emerged winner of the MTN Project Fame West Africa Season 8, smiling home with star prize of N5million, a brand new, fully loaded SUV and a recording contract worth millions of Naira. It has been a completely exciting season with weeks of hard-work and dedication. It started with auditions in several cities in West Africa, and translated into eight weeks of fun, tension and scintillating performances for the 16 contestants that made it into the Academy. For the six finalists that made it to the finals (Ada, Arewa, Anderson, Deinde, Jeff, and Pearl), things will never be the same again as they have indeed gone through a beneficial and life-altering eight weeks in the Academy. Grand Finale nights like this have birthed the likes of Iyanya, Mike, Chidinma, Monica, Ayoola, Olawale and Geoffrey. And with only one of these six to join the league of extraordinary superstars, the question on everyone’s mind was, who will it be? But before it got to that, the show kicked off on a promising note as the six finalists stepped onto the stage in their monochrome outfits and delivered a melodious, yet emotional group song titled ‘Pray For Me’ by Dare Art Alade. The rest of the night turned out to be an exciting journey with great entertainment lined up in form of collabos. Yes, the six finalists had been paired up with some A-list artistes to produce amazing remixed versions of their songs, and so each team stepped on stage and brought nothing but pure joy as they sang, danced and glowed. 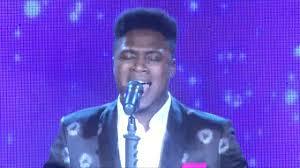 First to perform were Jeff and energetic Yemi Alade doing ‘K.I.S.S.I.N.G’ remix. Followed by Pearl and Chidinma who gracefully performed ‘Kedike’ remix. Deinde and Iyanya got everyone dancing with ‘Mr Oreo’ remix. Anderson and Praiz with their vocal dexterities delivered ‘Rich and Famous’ remix. While Arewa and 9ice paired up for the remix of the evergreen ‘Gongo Aso’. Ada and Sound Sultan closed this round of entertainment with their creative rendition of ‘MotherLand’ remix. Amazingly, these collaborations are now available as caller ring back tunes. It was then time to get down to the business of the day. The moment of truth as many calls it, often characterized by a pin-drop silence. 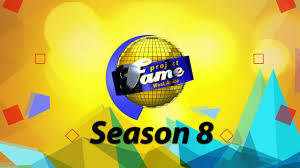 With the audience eyes wide open, gasping heartbeats and trembling feet, the hosts of the show –Joseph Benjamin and Bolanle Olukanni took turns to announce the winner and runners-up of season eight. Ada Tosanwumi, third runner-up. She went home with a cash prize of two million naira while Anderson Amos emerged second runner-up. He walked away with two million naira and a brand new saloon car. Pearl Awa-Agwu, first runner-up. She earned three million naira and a brand new saloon car. With scores of spectacular performances and several millions of votes; the winner of MTN Project Fame Season eight is Jeffrey Ufedo Akor. He carted away five million naira, a brand new, fully loaded SUV and a recording contract worth millions of Naira. The sixth and fifth positions will also be rewarded with five hundred thousand naira and one million naira respectively.